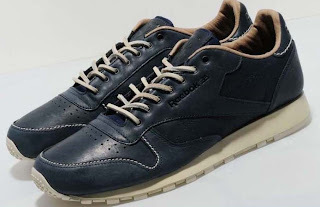 Founded in 1890 in the northern English town of Bolton, Reebok started out as one man creating novelty spiked running shoes for local athletes. The Classics were first introduced in 1987 for runners, however, they soon became big in the casual scene due to the subtly styled upper and premium materials. These Lux versions, from Reebok, come in a premium leather upper in dark brown sat on a clean off white mid sole. They also feature a tan leather lining, nylon mesh tongue with Reebok branding.